It is difficult to argue persuasively that sports and politics are not interrelated. We are currently facing a situation where there is a huge dilemma about whether India should play against Pakistan in the World Cup 2019 or not. Everyone has a different stand on the issue, and maybe a private opinion that they don't want to reveal to the world. But to my mind, there are several reasons why India should definitely play against Pakistan in the World Cup. Currently, India and England are undoubtedly the two most favored teams to win the World Cup. 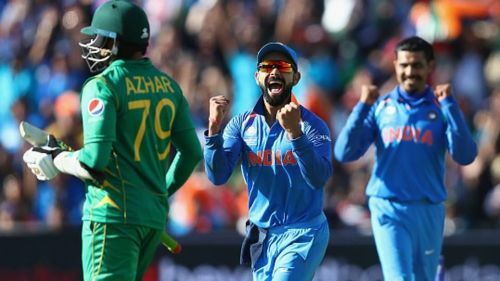 The Indian team is very strong compared to Pakistan's team, and if they play against each other, India would be tipped to win comfortably. In the Asia Cup India won against Pakistan without any star power in the team. It's not difficult to imagine them repeating the feat at the World Cup. Moreover, many of the Indian cricketers and fans will consider a victory against Pakistan to be a tribute to the martyred. That's got to be strong motivation to both the players and the management. From the economic point of view, this match will draw very high revenues for the ICC and BCCI. The expectations of the audience to watch the two arch-rivals play against each other will take a huge blow if India choose to willingly abandon the match. Revenue losses to the BCCI will be substantial, and it may also exacerbate the already strained relations between them and and the ICC. Also, if India are serious about winning the World Cup, they cannot afford to lose points by willingly abandoning a match. That could well belittle the current lofty status of the Indian cricket Team. The BCCI will look much more mature if they decide to play the match against Pakistan. They have several times been accused of behaving like Big Brother in ICC events. That impression can be corrected with a positive step in this regard. The BCCI has already taken a great step by donating the IPL opening ceremony funds to the families of the martyred. That has helped elevate the status of the cricket board in many people's eyes, and now they have a chance to enhance the reputation even further - by letting India play against Pakistan at the World Cup.